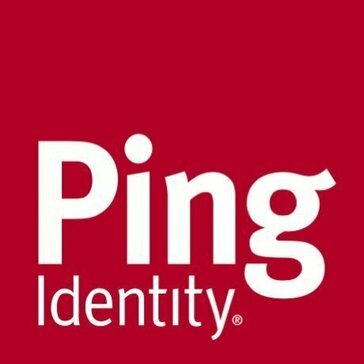 Work for Ping Intelligent Identity Platform? Learning about Ping Intelligent Identity Platform? "Easy and great for MFO"
So one of the things that I love most about this application is the ease of enrollment. When we decided to move to a MFO system, I was nervous about how hard it would be to enroll in the system and integrate into our enterprise applications. This was so simple, it was a double take. At first we did have some issei's when users did not add a backup device. If they for whatever reason, switched or reset a device that was previously enrolled, Like restoring a phone, if they did not enroll a backup device, they were locked out of the account. the reset was fairly simple, but something to be mindful of. We really needed to have an enterprise solution for MFO and Ping was very easy to adopt. It works across a variety of devices and integrated well with our enterprise applications. "Simple and intuitive tool which serves its purpose well"
The tool is very easy to use. All you do is log on and it takes you to all of the programs that you need. Some of the programs may need an additional log-in, but it's always the same enterprise username and password, which makes password management super simple. It's also great to just have everything you need in one place; this makes work that much easier. Even the search functionality is a plus. It makes it easy to find and add other apps to your PingOne homepage. There's really not much to dislike with this software program. The layout is intuitive (frequently used in the top half and all apps on the bottom half). Also, the tabs on the left-hand side that categorize apps is really handy. The interface is not the prettiest, but I'm not sure this is expected. PingOne is a well-designed tool that manages to simplify the use of multiple work apps as well as help evade the issue of having to remember multiple passwords. By compartmentalizing all of your work apps, PingOne also helps the user think of apps are serving particular purposes. The biggest problems we are solving with PingOne are password management and website sprawl. It's great to have everything in one place, and removing that extra layer of complexity really gives the user back a lot of time in his/her day over the span of a year or more. "Easy to use - pain to switch to new device"
I think it is really easy to use, I remember that setting PingID for the first time on my phone was very very easy. I've never really had any issues with it – I really like the option of using a manual code if or when your mobile device doesn't have access to a network (very helpful when trying to connect on airplanes and your phone doesn't have service). Changing to a new device is a such a hassle. It took me about two days to finally do it and I had to reach out to our IT department for help. The issue might have been that I didn't disable my old device first, however it was not an easy process and it ended up causing issues with other applications that use PingID (like VPN for example). As a user I think it is very easy to use - unsure how it is for an administrator. Helps with account protection, specially helpful to avoid account takeovers. "Fast and easy identity verification"
With PingID, Identity verification is extremely fast and very easy. The best part is that it does not require users to wait for a phone call or a text message in order to verify they are who they say they are. It is not clear to end users what authentication method is used when users originally install and set it up, which can cause some security-minded folks to contact IT with questions. We are using it to prevent unauthorized access to our VPN, and needed a solution that would allow our users to quickly verify their identity without requiring them to wait for a phone call or text message. "Great Tool- Super Easy to Use"
I like how easy this application is to use. It was rolled out about a year ago to my company and it took barely any training for the employees to figure it out. I truly do not have any dislikes about this tool. Such a great and easy to use tool. I definitely recommend switching if you are using something else. We are solving the business problem of keeping our network and information safe in any environment including when not at work. For our employees it is solving a quick and easy way to always stay secure. I like because its makes more safe my account or access, i can't track all my logs and even i can grant access from my mobile device. for the Desktop version its takes a few time to be open, i dont know now because i'm only using the PingID for mobile which is faster. I think we are facing issue trying to connect PingID with Fuze so for now we have disabled this feature because users are not able to login. Making more safe the accounts, users do not need to type passwords and usernames and its like a unified method for all sites access. Ping was an easy enough tool for security to log in to my work tool set. Pretty fast and consistent to get call back or text back log in credentials. As a simple user, I didn't need it to be robust or complex just simple which it was. I did not have any real complaints. As far as how I used it as just a log in user, I needed it to just work when I wanted to log into my companie's tools. Sometimes the text relay was a little delayed but this was rarely the case. IT has provided a safe and secure way to protect company details, information and privacy. Good solid tool that works and works well. Quick and easy access right from my phone. It was simple to pair my device and once that is done I can use PingID as an authentication factor to access my corporate network. The app frequently unpairs from my device which means have to go through the set up process from scratch. This can be frustrating when in a time crunch to quickly access my network. For my clients, they frequently have questions regarding how to pair their device and it doesn't seem like the photo instructions help them. However, once they do realize how to use it then they can easily access the network to perform tasks independently. "Easily log on to many apps w/out having to remember passwords"
"Best Tools for secure Sign In"
Adding new service ( i.e new organization) very easy via QR, Manual Pairing. One-time Passcode generated some interval of time and as well as manual so it's secure. Swipe login option not working consistently sometimes. More secure until the phone is with you. In our Company IT system, we have used PingID for internet access. It is efficient to have a platform with one login to access all programs that I might need while working in the office. It is also nice to keep one login ID and password when previously the several different programs needed have different password requirements and different expiring password cycles. This simplifies and streamlines that process. It's not as easy to use from home: sometimes it logs on and has all my applications, and sometimes I get an error message and still have to go to each site individually. Most frequently I get an error message and am unable to use it. It is a great solution for streamlining workload. It eliminates the need for multiple different login IDs and Passwords, which is nice when different sites require passwords to change at different times. Ease of use- ping federate is extremely easy to use. Creating a connection is simple and upgrading to a newer version is simpler. Support from ping- we have had great experience with the pong support. They are a very knowledgeable bunch of engineers. The logging could have been a bit simpler. An entry to show the completion of the SSO would be good. Ping federate is very good tool for SSO and Oauth setup. It is simple to use and easy to integrate. We were really happy with the way the support team has performed. The server startup is very quick. It generally comes up in a minute. We are using pong federate mainly for federation and it has been a breeze to use this product. "Simple tool, easy to use, powerful! " It's really easy to use. You just log in one place, it's secure and powerful. Here at Workfront we have multiple programs that we need access to, so it's really nice to log in to just one place for everything. It's hard to dislike PingOne, but there are a few things that I don't like. I don't like how you have to keep refreshing it in order to access everything. It would be nice to just have to log in once, identify yourself, and then have it work from then on. I have to log in every day. It's a good platform and is easy to use. Keeps all of your programs secure since you have to log in to PingOne. We are solving a lot of problems, mostly efficiency issues. It has been awesome and secure for the whole company. I really enjoyed having Ping as a way to link all of my work tools together in a secure site. No dislikes here! It was very user friendly and it made it so much easier to streamline my logins and keep my information safe. "Good 2 factor authentication tool"
I can authenticate by phone, tablet, pc, email and mac and it works everytime i use it. Just use it, it's kind of annoying to do 2 factor authentication, but it's required. it does 2 factor authentication and it does it's job well. "Works as expected-Simple to use, multiple options to access and reliable"
Two Factor authentication as a whole. But given we have to do it I like Ping as a provider for it. Security around access. With the number of security breaches it is a must for corporations to make access reliable and secure and the old fashioned password has outlived its usefulness. TFA is the wave of the future. It is a very robust SSO solution for a large enterprise. It has many plugins for many products. Their support is top notch. Implementation is not easy. It is a complicated product. But all SSO products are so this is to be expected. Replacing an out of support SSO product. Ping also help integrate into numerous cloud apps. "Steep learning curve for a product that has strong competitors." Very powerful feature set. Can manually configure SAML connections for almost any site. VERY complicated. Extremely steep learning curve. Documentation helps but needs clarification in many cases. Product is becoming obsolete as competitors are starting to offer equivalent or better features. Look at other options for a simpler setup/admin process. Increased security. Simplified login process for employees. "PingID allows you to work from home"
The possibility to add many devices so if you loose access to one you can choose another. Also tapping being enough to authenticate is great. Honestly speaking the ability to use even more devices would be better. I am able to authenticate and work from home. That's great. "Secure easy way to validate access "
Sometimes it freezes when automatic requests are sent. Simple installation and was able to use immediately. There were times when I wasn’t recognized and needed to login manually; which was slightly inconvenient. As an end user, I recommend this product. Enables a secure login with minimal technical difficulties. "We recently picked pingone for our single sign on solution"
make sure the products you are intending to use this for support it. It solves a need to integrate with the business LDAP for single sign on. Dioesn't have an application for SPA, which causes hacky solutions. We are using PINGID for single sign on. "User of single sign on"
The system is easy to use and allows access to network tools without needing VPN. in chrome the login opens in a popup. Not sure this is a PingOne issue or my Chrome browser setting. The best part is providing secure access that will enable the right people to access the right things/app, securely and seamlessly. We have SSO that makes our life's easier with one single click anytime/anywhere. Support is too good !! None. I like the supports, licenses and renewals are affordable. Securing our application by giving right access to right people for right things !! "Decent software easy to navigate "
With PingDirectory, we were able to store relationship information that spans multiple business partnerships with their users. There really are no dislikes, however, It was not necessarily the right product for my company. It's on my phone, doesn't take up much space. I have to have my phone nearby instead of carrying a electronic code generator which is good. Nothing. It doesn't really phase me much. "It is very easy to use and secure. Helps insure that the use of our software is being done securely"
Nothing Everything seems to be perfect. It's easy to use and allows you to relax knowing that dual authentication is in place by all users of our software. Everything seems to do what it's supposed to do. No complaints. We have lots of different pages with separate logins. PingOne allows us to access all of them with a single sign on. Log in times out very fast; it’s very annoying. None really - I use the product primarily for log-ins only. Support for most of the Federation protocols (SAML, oAUTH, etc). Integrates with many other products for authentication, etc. Quick and easy Installation and Administration. Scales well for very high volume. Splendid Support. The support teams got back to me very quickly each time I opened a case. Relatively small vendor compared to the competition (its good and bad). I have worked with Ping Federate for over 4 years. in multiple version. We used Federated Sign On to many applications in the Cloud and Internally hosted applications for Customers and Employees. "Best in breed, Ease of use, User Friendly"
Single Sign On and Secure access management. * We monitor all Ping Intelligent Identity Platform reviews to prevent fraudulent reviews and keep review quality high. We do not post reviews by company employees or direct competitors. Validated reviews require the user to submit a screenshot of the product containing their user ID, in order to verify a user is an actual user of the product. Hi there! Are you looking to implement a solution like Ping Intelligent Identity Platform?